So, who is that little-known Democrat who filed back in March to run for Idaho’s 1st District congressional seat? After many weeks of trying to reach him, I received a call from Michael William Smith of Post Falls last week, and he filled me in. He’s a veteran of both the Army and the Marines who served for 14 years, including deployments to Qatar, Iraq and Afghanistan. He moved from southern California to North Idaho just a year and a half ago. This is his first-ever run for political office. Smith said his family and friends – the 38-year-old is married with two sons – said he should put his words into action. “So I agreed with them and took it as a calling, that I’m not only more apt to serve, but also have a duty to try to represent the people’s interests,” he said. Since moving to Post Falls, he’s gone to meetings of the “Indivisible” group that opposes President Donald Trump, and he’s been inspired. “It makes me hopeful that what I want to do is what most of the people would like to see happen in their governments,” he said. Smith said he’s not convinced that Idaho is as heavily Republican as most people think, despite the GOP controlling the vast majority of elective offices. Smith describes his politics as “pretty progressive,” and lists his top issues as the economy, livable wages, protecting public lands and the environment, renewable energy and working to get a single-payer health system. So far, he’s the only Democrat to file for what will be an open seat in Congress. Two Republicans, former Idaho Lt. Gov. and Attorney General David Leroy and former state Sen. Russ Fulcher of Meridian, are already campaigning; and two others, state Rep. Luke Malek of Coeur d’Alene and Layne Bangerter, who was director of the Trump presidential campaign in Idaho, are considering the race. Idaho Rep. Raul Labrador, the new chair of a House subcommittee on immigration, told reporters last week that he hopes to “fix the broken immigration system” between now and the end of his current two-year term, after which he’s running for governor rather than seeking re-election. Labrador, an immigration attorney, is sponsoring two bills, an immigration enforcement crackdown bill dubbed the Davis-Oliver Act, and a bill to limit refugee resettlement. Both have cleared the House Judiciary Committee on party-line votes. He said the two measures are major reforms to the current immigration system. Asked whether that was the extent of his proposed reforms to immigration, Labrador said no. “We have right now five bills that deal with interior enforcement,” he said. “We are then going to move on to working on the guest worker program, and especially the H2A (visa) that deals with our farmers.” That could include expanding that program, which currently doesn’t cover year-round workers like those employed by Idaho dairies, to allow foreign dairy workers to fall under it and work in the United States for up to three years, if they return to their home country for a month a year, he said. He said his proposed expansion of the H2A visa program, which still is in draft form, likely wouldn’t allow dairy workers who are already in the country illegally to apply. The Idaho House and Senate Education committees held a rare summer meeting last week at the state Capitol. The top item of concern was the state’s plan to comply with the federal Every Student Succeeds Act. Idaho faces a Sept. 18 deadline for submitting its compliance plan to the federal government for school accountability and for spending $83 million in federal education funds. 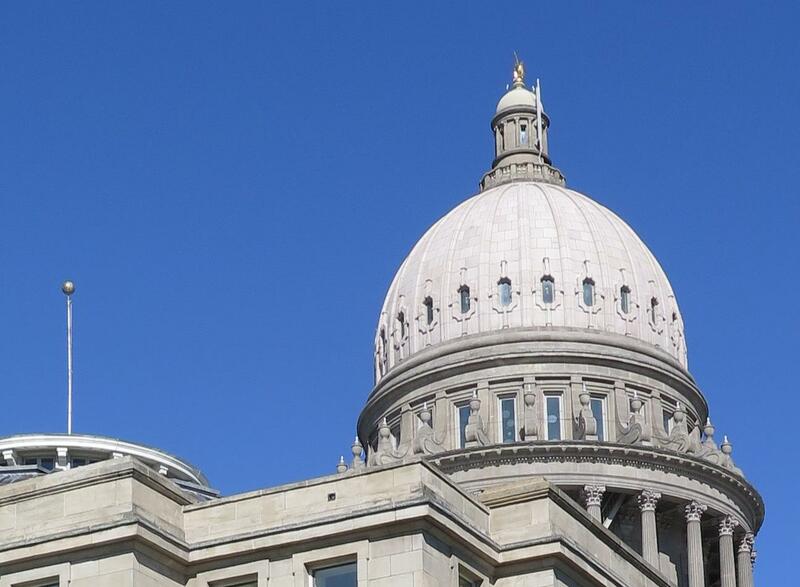 Both Senate Education Chairman Dean Mortimer, R-Idaho Falls, and House Education Chair Julie VanOrden, R-Pingree, said they wanted the committee members to help them provide input on the proposed plan. The meeting came a day after the state Board of Education convened a summit meeting with prominent education groups in Idaho after they complained in a letter to the board and Gov. Butch Otter that they felt “disrespected” after being excluded from developing the state plan. But a major point of contention quickly surfaced that also came up a day earlier at the state board’s summit meeting: The long-term goals for student achievement within every sub-group outlined in the plan were deemed extremely unrealistic by stakeholder groups, lawmakers and others, and are being revised. Duncan Robb, Ybarra’s chief policy adviser, said there was agreement to revise those long-term goals, which initially contemplated decreasing the percentage of students who aren’t 100 percent proficient in reading and math by 50 percent over six years – and applying that same percentage decrease to every sub-group, including students with disabilities, English language learners, and more. State Rep. Ryan Kerby, R-New Plymouth, a retired school district superintendent, pointed out that on reading and language arts proficiency for the base year of 2016, currently 15 percent of students with disabilities are proficient. “What we don’t want to do is put schools in a situation where they almost certainly know they’re not going to make it, and so you kind of dismiss the whole thing,” Kerby said. Robb told her that’s why they’re now being revised. “We’re going to be doing a lot of work at the department over the next couple of weeks to model that out and see what that looks like, because that’s very valid feedback,” he said. Additional meetings between state education officials and stakeholders are planned over the next month.